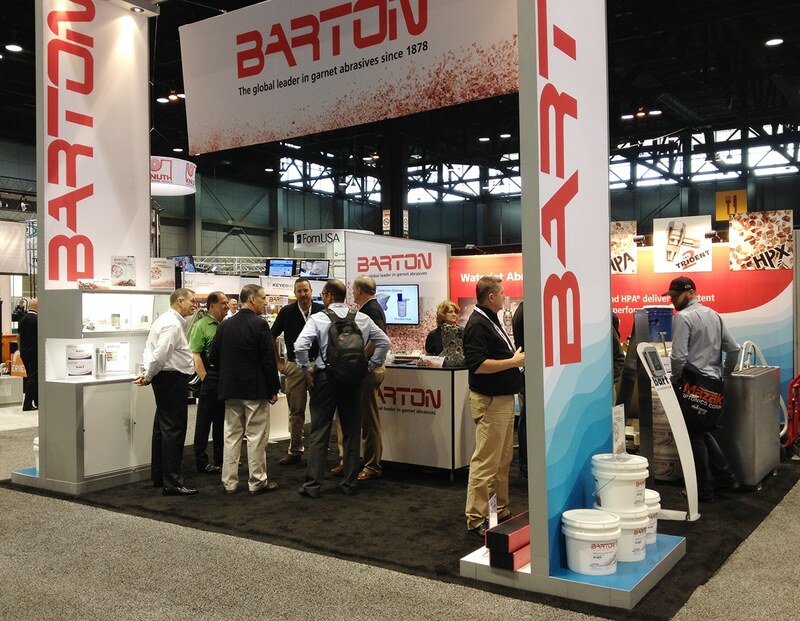 Trade show exhibits and other displays are another opportunity for a effective and consistent brand experience. With our experience in trade show display design, our focus is the booth’s attention getting power to attract the potential client or customer walking down the aisle. Our marketing goal: draw them in and deliver messages that can encourage engagement. The same branding goals also apply to display graphics, such as pull-up banners, for office environments in corporate locations, meetings, and sponsorships. No matter the location, no matter the size of audience, every outward-facing element should reflect the brand consistently. Blass Marketing created and executed the brand look and feel for Barton International. The above shows brand application in a trade show display that effectively positions leadership and dovetails with the full gamut of communication elements from outbound promotion to product packaging, sales and technical sheets, web, videos and case studies.